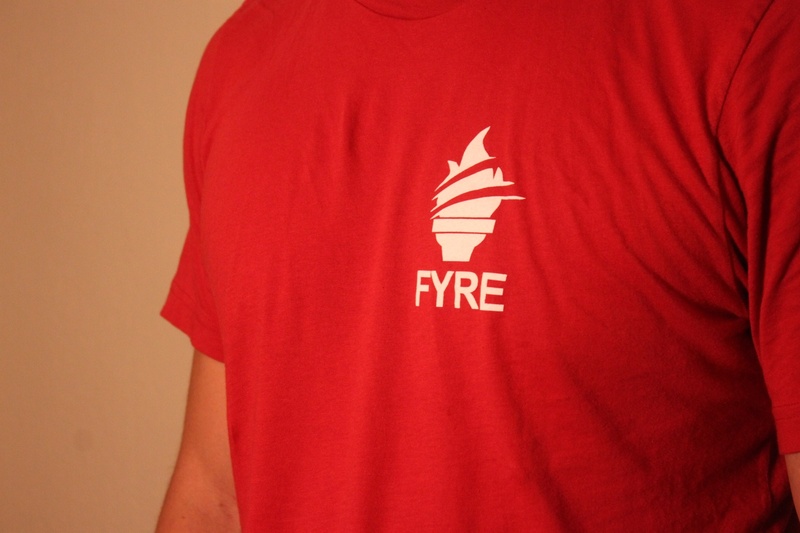 A student poses wearing a FYRE t-shirt. Ninety-five incoming Harvard freshmen arrived on campus last month to participate in a new pre-orientation program option, the First-Year Retreat and Experience. The two-year pilot program, which the College unveiled last spring, is tailored toward under-resourced students in the Class of 2022. During the program, participants toured the campus and met with University administrators and faculty. 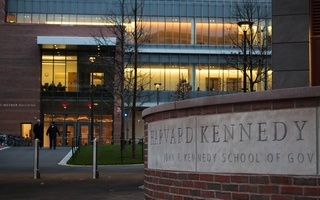 The program also featured activities such as daily “FYREside family chats,” a silent disco, and an opening ceremony where students received personalized messages in books from Harvard faculty, alumni, and staff. “Thursday was beginning community building, Friday was resources, Saturday was identity, understanding where you’re coming from, and things like that, and then Sunday was again community-building and reflection,” Andrew Perez ’20, a co-chair of FYRE, said. 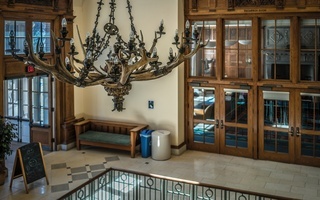 One of the main academic highlights of the program was FYRE’s collaboration with various offices around the University, which gave students the opportunity to learn about resources on campus before classes started. “We partnered with the Office of Career Services, the Bureau of Study Counsel, the Office of International Education, and CAMHS,” Perez said. FYRE’s steering committee was elected in 2017, and they began planning for the program shortly thereafter. Team leaders described working nonstop from January 2018 until the start of the program in August, at times meeting several hours each week. Sheila De La Cruz ’22, a first-year participant in FYRE, said the pre-orientation program supplemented her introduction to Harvard beyond the standard Opening Days programming, the orientation attended by the entire freshman class. Huong Le ’22 mentioned a similar feeling. “I think if it weren't for FYRE, I'd be a more lost freshman right now because I don't know which resources to come to, which office or who to reach out to,” Le said. Team leaders also said they found FYRE to be a valuable experience. FYRE team leader Gina Cusing ’20 said her own search for community as an undergraduate motivated her to get involved in the program. “I didn't find that [community] until my junior year, and the opportunity to be able to give that to freshman three years earlier than I got it was amazing and absolutely invaluable, and that is why I applied,” Cusing said. 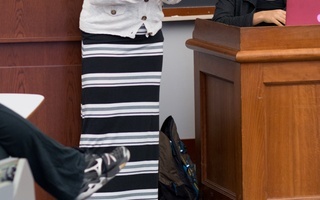 Other members of the steering committee said their participation in FYRE extended their work on campus supporting students from underrepresented groups. “I’ve been very conscious of the people who are missing, and the people who their intersectional identity isn’t really catered to by anyone or group,” FYRE co-chair James Bedford ’20 said. 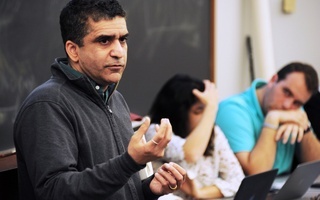 “I was very interested in this program as an opportunity for those students who are first-generation, low-income, like myself, or from an underrepresented high school, also like myself, or anything else to be on campus,” he added. First-years said they felt FYRE’s programming succeeded in its goals of making them feel confident and comfortable on campus. “A lesson that stuck out was, there's definitely going to be hurdles and challenges, but there will always be people that are by our side when we need help, just like the resources that they offered and even the team leaders, the FYRE coordinators and the friends that I made at FYRE,” Le said. Ibrahim Ibrahim ’22, another participant in FYRE, said he values the connections made with other students, specifically upperclassmen team leaders. Katie W. Steele, an administrator who was involved in the development of the program, said she is excited for the future of FYRE. “From my conversations with FYRE participants, they tell me they feel connected, ready, and supported, which is absolutely how I had hoped they would feel after participating in the program,” Steele said. “We are looking forward to reviewing the feedback participants have provided so that we can build upon this success as we plan for the Class of 2023,” she added. This summer, Keturah J. Gadson ’21 traded Cambridge brick for the open skies of Sunflower, Mississippi — a town with a population of just over 1,000 which she described as “frozen in time” — to help teach local students.